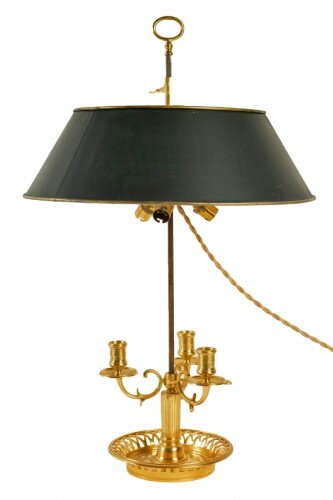 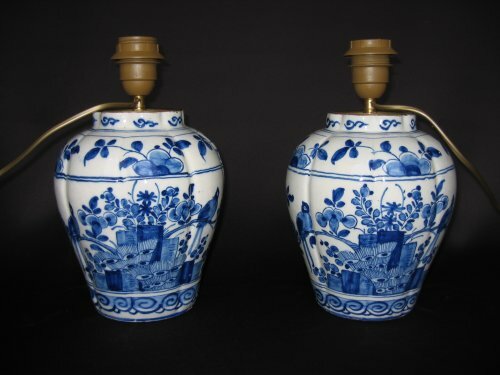 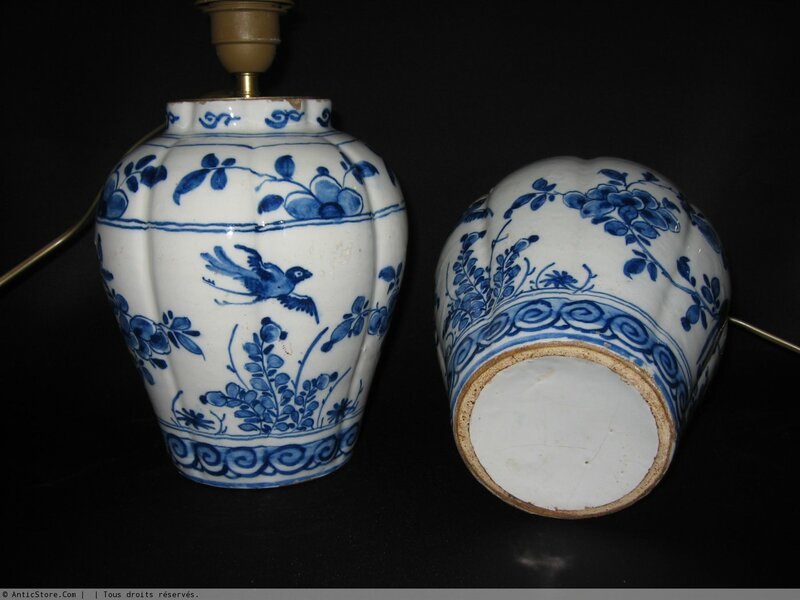 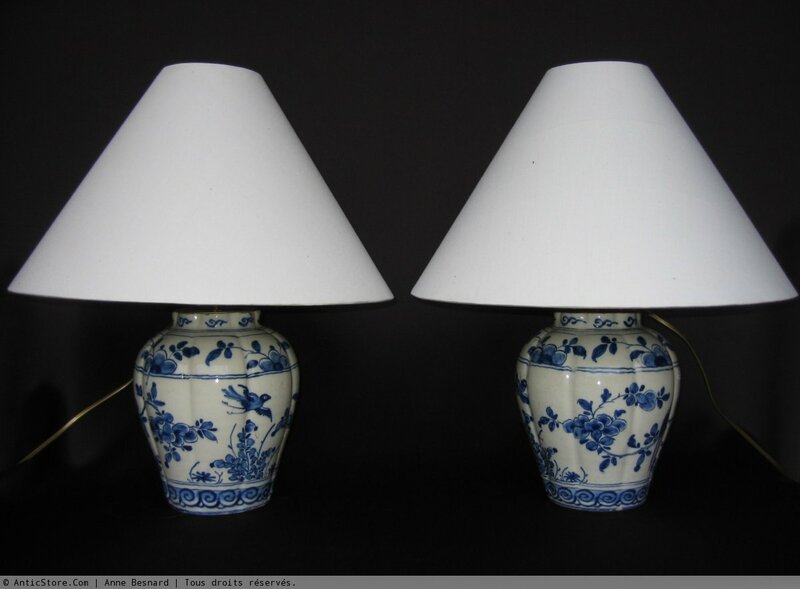 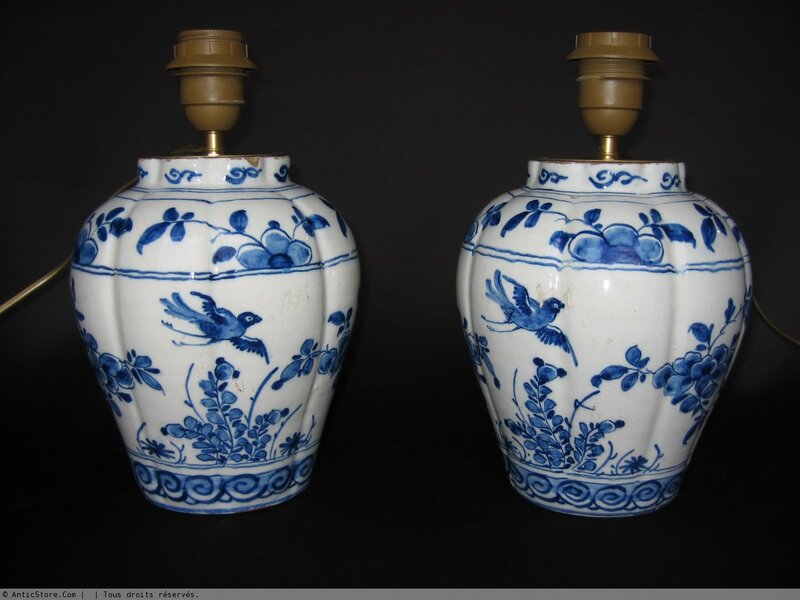 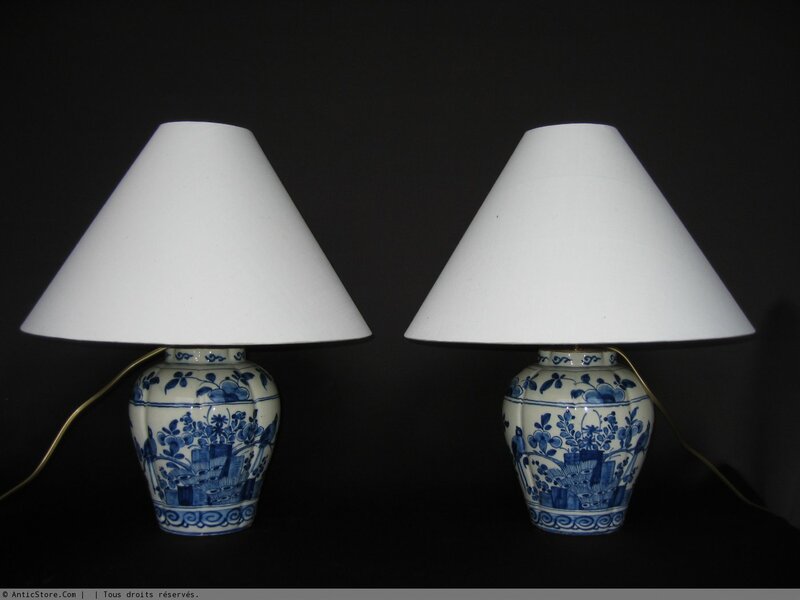 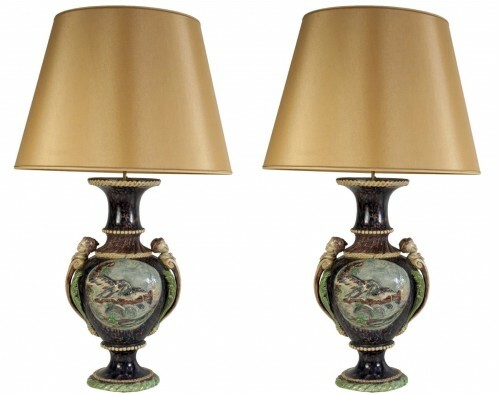 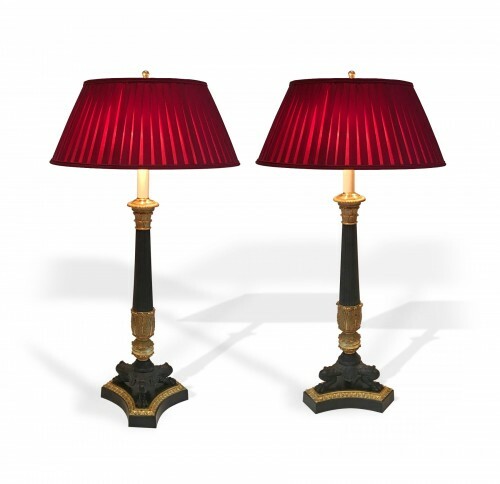 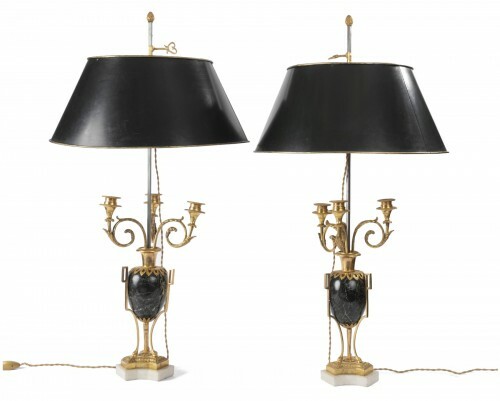 Pair of Delftware fluted vases mounted lamp. 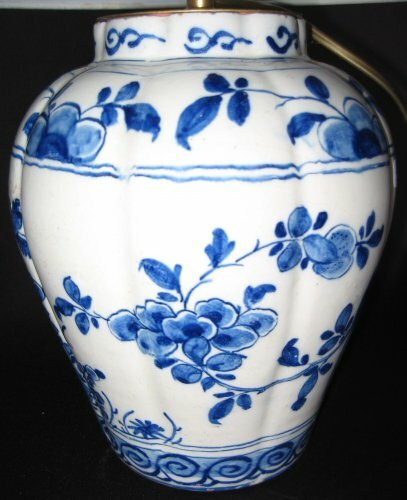 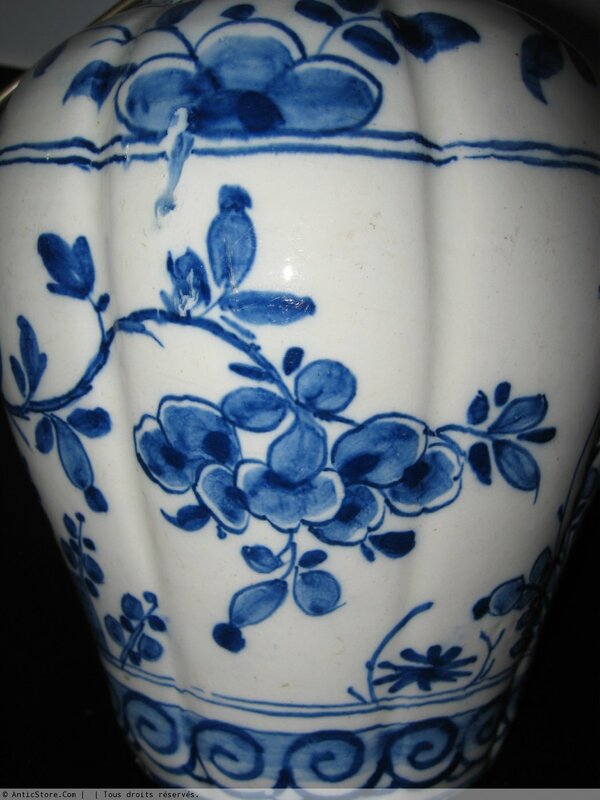 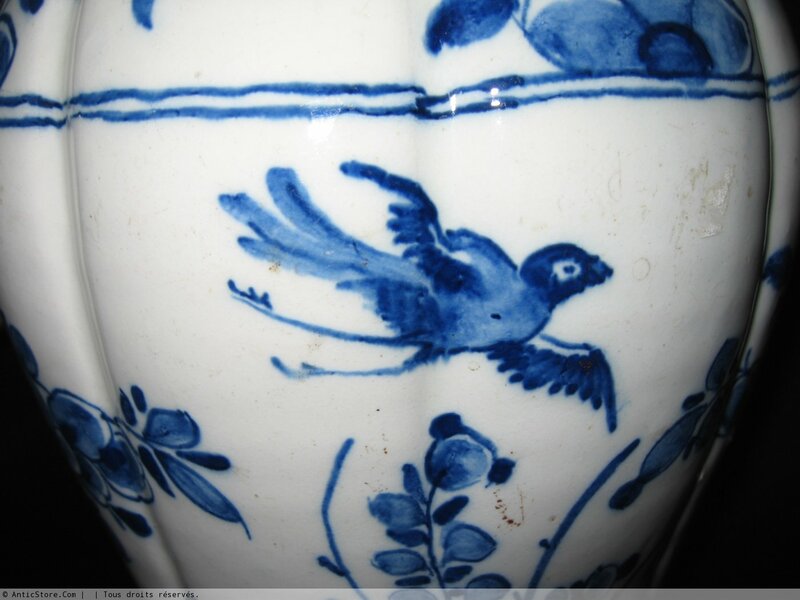 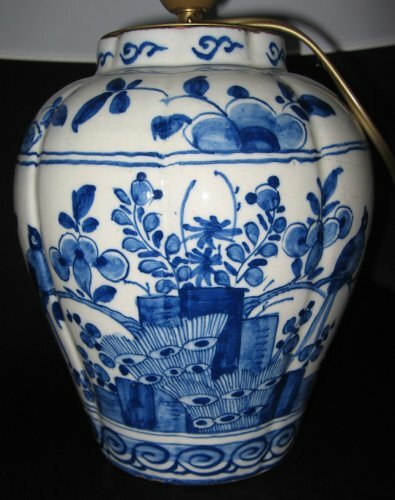 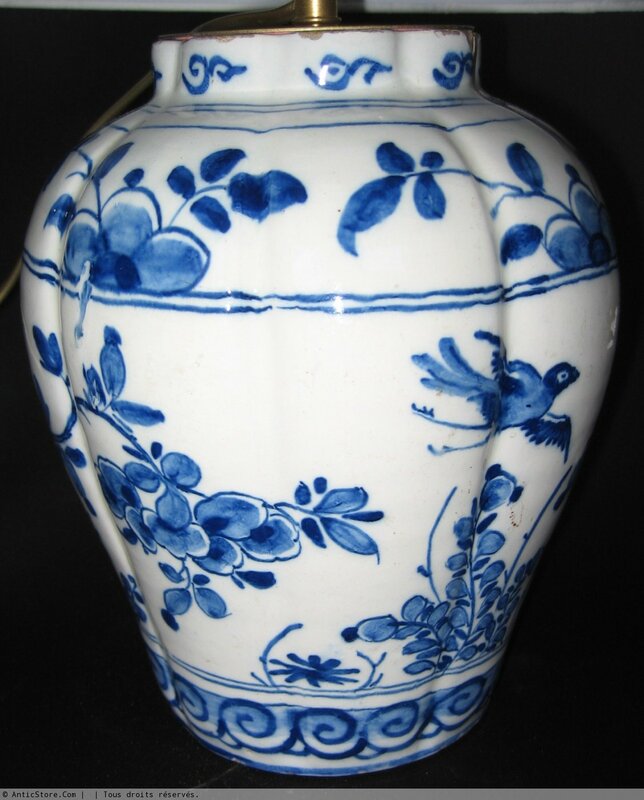 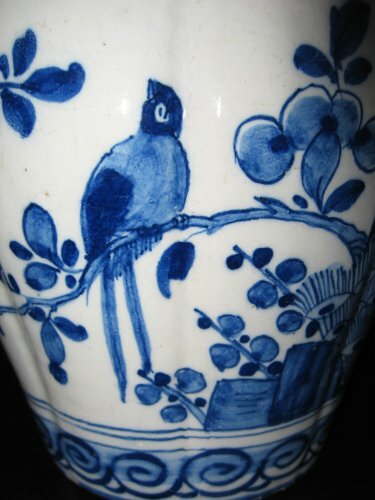 Blue decoration on white background inspired decorations that are found on Chinese porcelain vessels reported by the East India Company in the seventeenth and eighteenth centuries: it consists of plant motifs, a flowered hedge and birds. 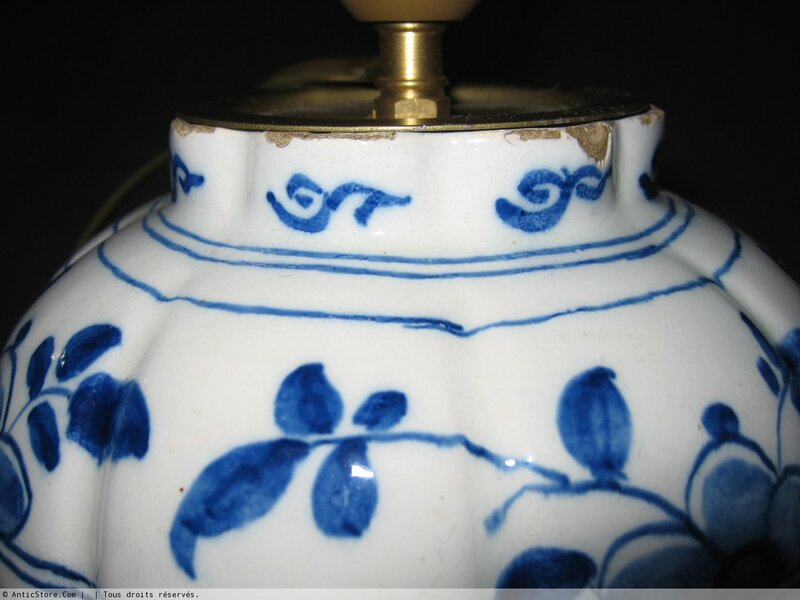 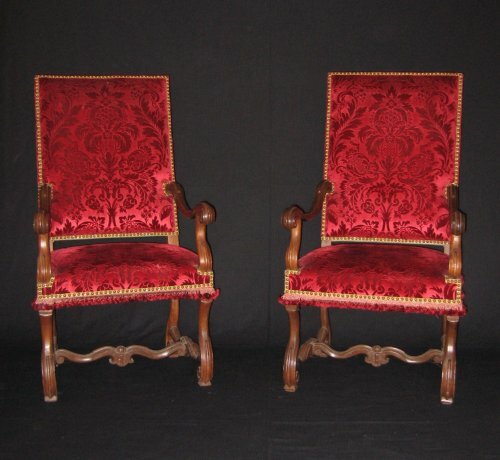 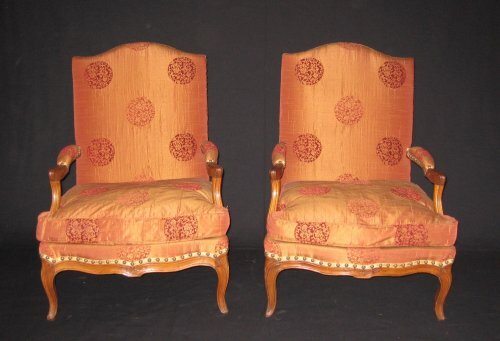 In good condition, some égrenures to the neck.